It would be difficult to comprehensively list all the Office 365 benefits for business, simply due to the fact that there are so very many! If you’re looking into the Office 365 benefits for your business, then you’re also likely looking into the pros and cons of Office 365 vs G Suite which we’ve covered separately for your convenience. So we’ve gone ahead and whittled down that list to something more digestible for you. The primary benefits you would see as a business in choosing Office 365 over other cloud-based or locally-run solutions. 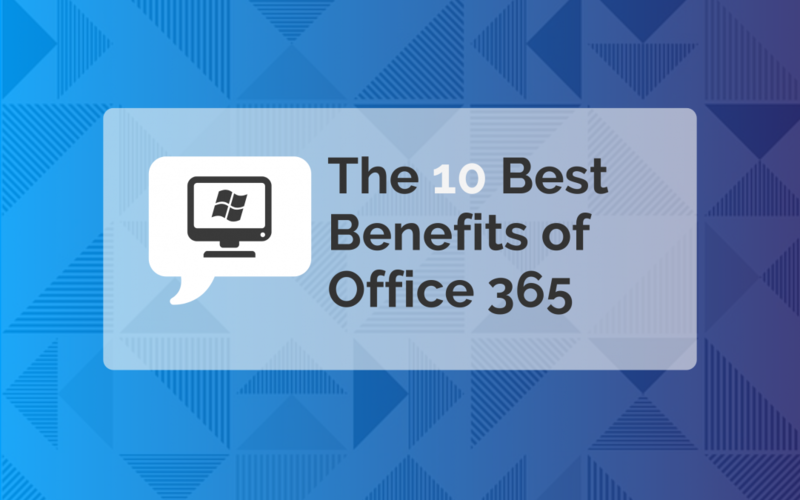 What Are The Top 10 Office 365 Benefits for Business? The biggest one has to be the familiarity of Microsoft. For many, using Microsoft products is like second nature. If you grew up on PCs, then you don’t have to second-guess where certain functions are, or what shortcuts to use. There’s no doubt that everyone is familiar with the Microsoft applications Word, Excel, PowerPoint etc. Having a platform that incorporates and integrates with these, is one less difficulty to be concerned with. Overall, it will mean a quicker adjustment period, and less (or zero!) training required for your staff. The risk of running any software locally on your computer, is that you’re subject to a significant number of potential incidents. A server failure or required system update, for example, means that you and your team are unable to perform your work. Productivity takes a nosedive. As a cloud-based service, Office 365 is accessible to your team anywhere, any time. It has an up-time guarantee of 99.9%, although it almost always achieves better results than this. So you’ll never be left twiddling your thumbs at your desk waiting to get back to your work. To further expand on the previous point; a cloud-based system is accessible anywhere. As long as you have an Internet connection, then you can access Office 365. If you’re in the office on a desktop PC, you can use the locally installed suite offline too. Being able to access work remotely is more essential than ever. With travelling reps, remote office branches or a flexible work schedule (in order to accommodate school pickups), the ability to access your work anywhere is now a completely invaluable benefit. Migrating your system to Office 365 requires no large initial outlay to access the software; so breathe a sigh of relief. You don’t need to purchase specialised equipment, or install an on-premise server solution just to manage it. One of the key Office 365 benefits for business is that it has an extremely affordable and reasonable month-to-month subscription fee. This makes it a far more palatable and manageable solution for small businesses who may work better with bite-sized monthly fees, rather than an annual lump-sum cost. Cyber security is a major concern for businesses moving to the cloud. Cyber attacks are always on the increase, and small-to-medium businesses are a high target for these attacks. Smaller businesses may not have the resources to implement enterprise-level cyber security features, but here’s where you don’t need to. Another advantage high up the list of Office 365 benefits for business is that you get access to a level of cyber security that most businesses could not afford to implement themselves. Office 365 is backed by world-class cyber security protocols and assured by Microsoft directly. You can’t ask for more than that. Remember having to purchase licences for all the new versions of the Office applications as they rolled out? It was expensive, tedious and overall unpleasant. As a result, many users would stick with the old version for years sometimes, and therefore miss out on the newer features. Office 365 removes this obstacle completely, as it’s always up-to-date. Everyone within your organisation will have access to the same edition, and always the latest version. If you’re interested in getting the same deal on your Windows OS, then have a quick look at Microsoft 365 too. Communication has never been easier with contacts both inside and outside your organisation. With a tool like Microsoft Teams, you can easily invite third-party collaborators (like a vendor, or service provider) to chat about projects and Teams will automatically create a SharePoint team site related to your project. Teams also integrates with several third-party applications like Zendesk or Asana, so you can easily add it to your customer service and ticketing system, along with threaded conversations to easily track the flow of a conversation. Office 365 comes with a calendar, and also keeps your contacts, emails, and documents in one place. This will save you considerable time and effort in terms of managing your communication, file storage and time-management. With OneDrive and SharePoint both included with your Office 365 subscription, you have amazing team management and organisational tools at your fingertips that integrate seamlessly with the rest of your system. Another one of the excellent Office 365 benefits for business, is that everything about it is totally flexible. With a number of subscription plans to choose from, you choose the pricing plan that suits you. You’re not forced into a contract either; you have the flexibility to choose an annual commitment or month-to-month. Office 365 also enables you to choose add-on tools to build your subscription. This gives you the flexibility to customise your plan to suit your needs. Add Microsoft Intune to your subscription for an additional $7.65/month, or bundle your Office 365 with Enterprise Mobility + Security for a total of $29/month. 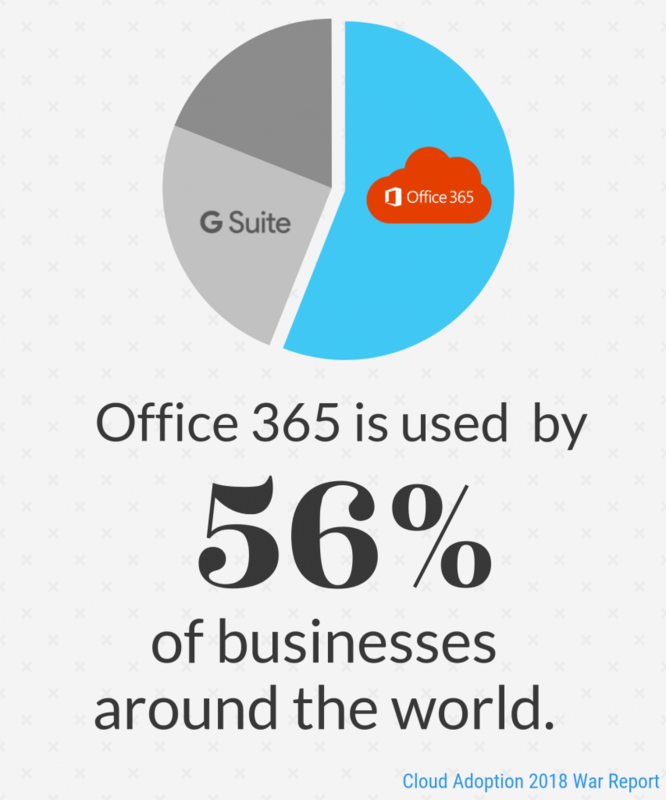 Office 365 adapts to the specific needs of your business. When those needs change, Office 365 can change with you. With SharePoint included, you have an entire platform dedicated to teamwork and collaboration. As we mentioned above, Microsoft Teams will integrate with SharePoint by automatically creating a dedicated site within SharePoint. From there it will contain all relevant files, plans, dates and every team member will get access to the site. Office 365 enables simultaneous editing across files, so you can have multiple staff working on the same document without worrying about version control. If your team is not in the same place but still need to collaborate; no problem! Office 365 also comes with online meetings and video conferencing capabilities – so there is literally no obstacle to having the best collaborative experience possible. To briefly summarise, it’s clear that Office 365 has all the tools and benefits to save your business time, hassle and money. It empowers your business to become more productive and more efficient, without a huge outlay of costs and training. Your team already knows how to run with Microsoft products, so this becomes a natural step for your business to take. Now that you have our 10 favourite Office 365 Benefits for business and you are considering moving and need help, have a chat with our awesome team at Stanfield IT on 1300 910 333 or contact us here.